The cost of home renovations can quickly spiral out of control so you should always be looking for ways to save money when you’re doing work on the house. The kitchen is probably one of the more expensive rooms to do because there are a lot of appliances and things that cost quite a bit. If you’re renovating your kitchen, there are plenty of simple ways that you can cut the cost, however, you’ve got to be careful. If you cut corners in the wrong places, you’re going to end up with a poor job and you’ll probably end up having to do it again in a couple of years. 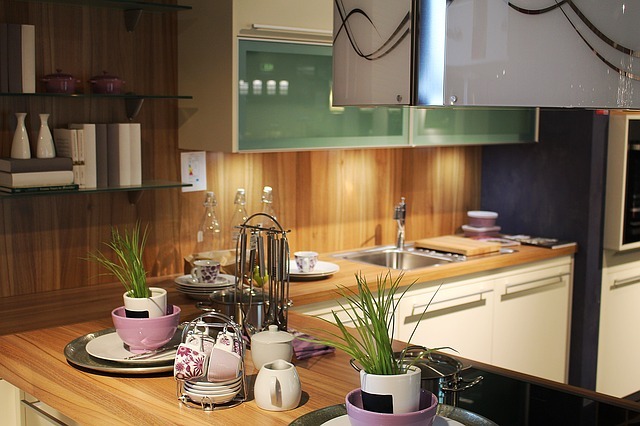 If you want to do a great kitchen refurbishment but you don’t want to spend too much money, you need to know where to save and where to spend. If you want a big feature like a farmhouse sink, you might have to spend a lot of money on it. But if you aren’t too worried about that, there’s no need to blow a lot of money on the sink. A standard stainless steel one gets the job done and it still looks great. The kitchen cabinets make up the majority of the kitchen so you don’t really want to cut corners. If you buy low quality ones, they’re not going to last that long. But if you go to a professional company like A+ Construction Pro and get some decent quality ones, they’ll last you a lot longer. It’s also best to spend more on custom cabinets rather than going with off the shelf sizes. If you get custom, you can have the exact design you want without having to make compromises. Tiles are an important feature in the kitchen because they’re both functional and cosmetic, but you don’t need to spend a lot of money on them. There are a lot of expensive tiles in high end kitchen showrooms but if you look around a bit, you’ll be able to find a very similar style for half the price and they’ll do exactly the same job. The appliances are the most expensive part of the kitchen usually so it makes sense that you want to find the cheapest ones possible. However, you’re not actually going to save yourself money in the long run. If you buy cheap appliances, they’re not going to be as energy efficient. When you’re fitting your kitchen out with the essential appliances, look for the ones with an A+ energy rating and get them, even if they cost more. They’ll save you money on your energy bills in the long run. The other major benefit of spending more money on appliances is that they won’t be as likely to break. It’s going to be a lot cheaper to buy one appliance that lasts you 10 years than it would be to buy 2 cheap ones that last you 5 years. Knowing where to spend and where to save during a kitchen renovation is the best way to make sure you do a good quality job without breaking the bank.